2. Separate pulp from skins of grapes. If desired, chop skins in a food blender or chopper. 3. Cook skins gently 15 to 20 minutes, adding only enough water to prevent sticking (about ½ cup). 4. Cook pulp without water until soft; press through a sieve or food mill to remove seeds. 5. Combine pulp, skins and sugar. Bring to jellying point, about 10 minutes. 6. As mixture thickens, stir frequently to prevent sticking. 7. 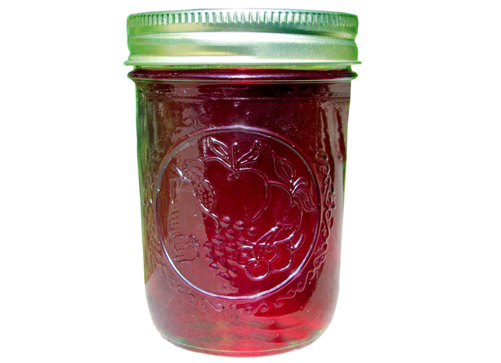 Fill hot jam into hot jars, leaving ¼ inch headspace.